Ticonderoga was an engagement between the British and the French Armies in upstate New York in 1758 during the Seven Years War. Described in some quarters as “an unsuccessful British attack on a numerically disadvantaged French Garrison” it was in fact a crushing and humiliating defeat of a British force armed with all possible situational advantages. A bitter result made all the harsher by the nature of the shambolic and humiliating retreat they embarked upon as the battle came to its conclusion. Once again a redcoat force, far far from their own shores, with superior numbers and all the tactical advantages they could wish for, were crushed by numerically inferior opposition due to the shortcomings of their leadership. Commanding the British was General James Abercrombie, a Scot born in Banffshire. He was a commander deemed to have considerable administrative abilities but with a reputation for indecision in combat and had acquired among his men the soubriquet of Mrs Nanny Cromby. The French were led by Louis-Joseph de Montcalm. A veteran of both Wars of the Polish and Austrian Succession with an outstanding service record as a battlefield commander, he was to die the following year at the Battle of the Plains of Abraham, along with that other distinguished leader of men James Wolfe. commenting on Abercrombie’s Ticonderoga campaign said that “no military campaign was ever launched on American soil that involved a greater number of errors of judgment on the part of those in positions of responsibility”. James Holden noted that American and British writers, both contemporary and historical, used words like “imbecile”, “coward”, “unready”, and “old woman” to describe him. Up till this point the war had gone badly for the British with a string of French victories including the Battle of Fort Bull, the Battle of Fort Oswego and the massacre at Fort William Henry (as depicted in that ace movie The Last of the Mohicans). Consequently, the British Prime Minister William Pitt had felt it necessary to take over direct control of the North American campaign. He devised a strategy of standing on the defensive in Europe where the French were strong and initiating offensive operations in North America where they were weak. The French force which Montcalm assembled at Ticonderoga in June comprised some 5000 regular French troops, the same again in militia raised from the French settlers and some Indian allies. Abercrombie meantime set off by boat on July 5th from the ruins of Fort William Henry at the head of the largest military force that had ever been assembled on the continent; some 16,000 regular British troops, including the 42nd (Highland) Regiment (aka The Black Watch) plus militia. On the morning of July 6th, two days before the battle, the British force landed unopposed at the north end of Lake George and headed towards the fort. On arriving at the French defences north west of the Fort, Abercrombie ordered his engineer, Lieutenant Matthew Clerk to climb the adjacent Rattlesnake Hill and assess the French position. Young Clerk duly reported to his General that the French defences appeared incomplete and could easily be forced. Apparently Montcalm had managed to disguise the strength and completeness of his defence works by the simple stratagem of covering them with shrubbery. Heartened by his engineer’s thoroughly professional assessment, Abercrombie met with his senior officers that evening to discuss his attack plans. Debating simply whether they should go forward in ranks of three or four they settled on three. Battle commenced just after noon with Abercrombie sending forward Rogers Rangers (sans Spencer Tracy) and some light infantry to force the outlying French defenders back. These were followed by three columns of his regular troops. Montcalm had set out his defensive force with seven battalions forward, each covering approximately 100 metres of front. He had entrenched cannon on each flank and the low ground between his left wing and the river was manned by militia. The French were able to pour withering fire into the redcoat formations as they tried to work their way through the defensive obstacles the French had deployed and by 2 pm it was clear that the initial attack had failed. Montcalm, dressed as an ordinary soldier, moved among his men encouraging their efforts and ensuring that all needs were met. Abercrombie meanwhile remained somewhat to the rear, positioned to receive progress reports. On being informed of the failure of his initial attack, Abercrombie then ordered his reserve forward, provincial troops from Connecticut and New Jersey. And within half an hour it became clear that their attack had met with the same results as that of their more experienced comrades. At this point it seems that Abercrombie ordered a withdrawal along the entire frontage but apparently two regiments on the left wing, the 42nd and the 46th persisted with their efforts and as late as 5pm the 42nd were still thrashing away, indeed they almost made it to the point where they were able to physically engage with the enemy. It was only as night fell that the last of the British troops withdrew and Abercrombie was able to commence the march back to his ships. This retreat in the dark and through the woods became disorganised and, as rumours spread of French pursuit, panic-stricken. The humiliating nature of the whole episode being fully apparent to its participants with one of Abercrombie’s own Lieutenant-Colonel’s describing it subsequently as “shameful”. British losses were of the order of 1000 dead and 1500 wounded with the Black Watch incurring particularly heavy proportional losses of 300 men and 8 officers. French casualties were reported in the order of 550, dead and wounded. The criticisms of Abercrombie’s handling of the battle are primarily: the French garrison was poorly provisioned and would have been unable to resist a siege for ling. Information which Abercrombie could easily have acquired from the various prisoners and deserters that passed through his hands; deploying artillery on the undefended Rattlesnake Hill would have led to the rapid destruction of the French defensive position. A consideration which apparently no one on the British side thought of; on realising that his initial attacking plan had failed Abercrombie could have taken time to consider a fresh alternative; similarly the option of outflanking the French right wing never occurred to Abercrombie or his men and would appear to have been well worthy of consideration. And carrying out the full retreat in the dark and through the woods to his initial landing position was wholly unnecessary. Abercrombie never commanded another military campaign but in the proud and noble tradition of the British military he continued to be promoted until his eventual retirement. By way of a change………a WW2 battle. 1st June 1941….Operation Mercury, the German airborne assault on Crete, is brought to a successful conclusion. This defeat was the latest in a serious of military humblings endured by the British Army at the hands of the Wehrmacht, in the opening two years of WW2. 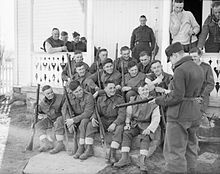 In that time British soldiers had stood toe-to-toe with the Germans in Norway and France in 1940 and in Greece in the summer of 1941. On each occasion, they had been swept aside and forced to flee to the nearest coastline and await collection by the ships of the Royal Navy. It appeared that the quality of British Generalship, the entire command and control system and even the performance of their front line troops was being completely outclassed by the those of the Germans. When you look in detail at the Battle for Crete the question which arises is…. was the British performance really that poor or was that of the Germans so outstanding. One view is that the Germans simply went about the business of warfare in their normal fashion and when circumstances dictated that they needed to find another gear, said gear was found and immediately engaged. And in exactly the same manner, the British and their Commonwealth allies, went about the business in THEIR own fashion and, as had become the case with them, were completely defeated and in fairly short order. There is very little in the way of positives to be taken by the British from the entire episode. Outnumbering the invading force by a factor of 4 to 1 and lavishly supplied from the outset with invaluable intelligence in the form of Ultra intercepts, the General commanding, Bernard Freyberg, took one of the most advantageous defensive positions in the history of warfare and handed victory to his enemy in just a few short days. Seventy six years later those aspects of the battle given prominence in the historical record remain pretty well unchanged. Firstly that Hitler was so dismayed by the extent of the casualties suffered by the Fallschirmjager that he expressly forbade any subsequent similar efforts for the remainder of the war. Secondly that the British Balkan adventure, first into Greece followed by Crete, dislodged the German timetable for Barbarossa to the extent that the Germans failed to take Moscow before their invading thrust was eventually parried, thus paving the way for ultimate allied victory. It’s rare to come across any subsequent account of these events which seeks to analyse the principal reasons for the British defeat in the face of what are generally deemed to be highly favourable circumstances…….as is so often the case with British involvement in either World War. In this case those reasons aren’t hard to find and even a cursory examination of events allows the reader to form their own conclusions. The German airborne landings were made at four points along the northern coast of the island. And while all met with similar initial lack of success it is at the western most of these, Maleme airfield, where the entire outcome of the Battle of Crete was decided. There were a small number of key commanders on each side whose performance over the next 48 hours would largely determine the final outcome of the Battle. 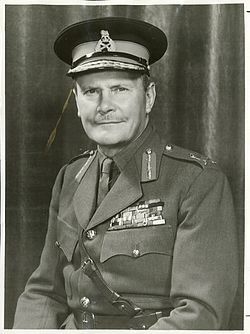 For the Allies these were: Major General Bernard Freyberg, a New Zealand veteran of the Great War who had participated in the Gallipoli landings and had become the youngest General in the British Army. 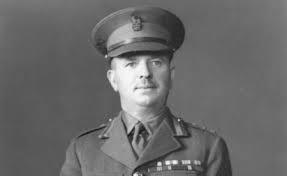 He had led the 2nd New Zealand Division during the Battle for Greece and been given command of all Allied forces on the island prior to the German attack. Acting Major General / Brigadier Edward Puttick who had taken over command of the 2nd New Zealand Division. Brigadier James Hargest, commanding the 5th New Zealand Brigade. For the Germans the key men were General Kurt Student who led all German airborne forces. Brigadier Eugen Meindl who commanded the Storm Regiment which landed in the Maleme Sector at the outset of the battle and General Julius Ringel , commander of the 5th Mountain Division which landed at Maleme on the second day. It was at Maleme, at 7.30 on the morning of 20 May, that the Luftwaffe’s Storm Regiment, under the command of Brigadier Eugen Meindl dropped by parachute and glider. Some forty gliders landed to the west of the airfield on the dried up bed of the River Tavronitis which they intended to then use as the start line for their subsequent attack. 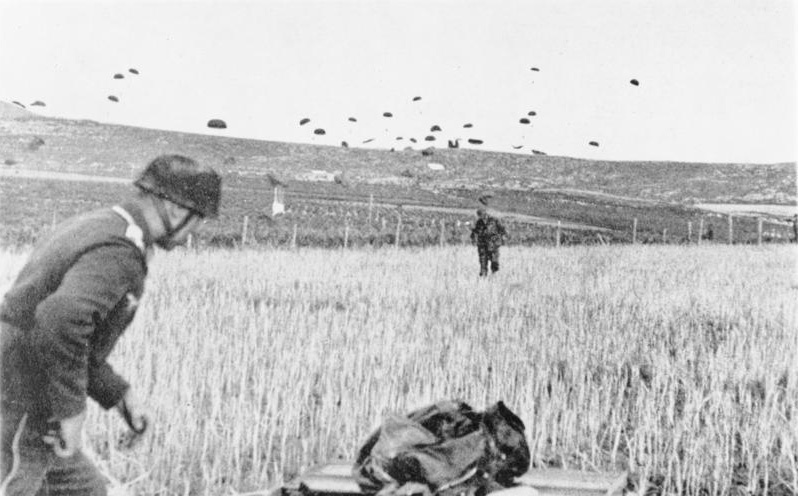 The paratroopers were dropped a little to the east of the airfield where they landed right on top of the New Zealand 5th Infantry Brigade. There ARE criticisms which can be levied at the Germans in this battle, despite their swift and conclusive victory. The failures of intelligence and photo reconnaissance regarding the true extent and dispositions of the Allied forces are the greatest. Prior to the British evacuation of Greece the garrison strength in Crete was around 10, 000 men. German intelligence believed that all the evacuated troops had been taken to Alexandria in Egypt. They had, however, been conveyed, to a man, to Crete. So the Allied strength on the morning of the attack was in the order of 42, 000 men, some four times greater than the attackers had expected to encounter. And they were attacking with a force of less than 10,000. The paratroopers leapt from the Junkers carrier craft at a height of only around 300 feet. The casualties inflicted on them and the aircraft by the dense crowds of allied riflemen were devastating. Over 1800 Germans were fed into the Maleme sector on this first morning with almost half of them being killed or wounded. The attacks which were happening simultaneously at the other three landing sites: Heraklion, Rethymno and the Ayia Valley met with similar results. Brigadier Meindl who had dropped by parachute rather than glider moved at speed and sent his I Battalion under Major Koch directly against the western flank of the airfield defences while Major Stenzler’s II Battalion was sent on a flanking movement in an attempt to take the key Allied strongpoint, Hill 107, from the rear. Within an hour, however, Meindl had been wounded twice and would play no further part in the action. The diligent Fallschirmjaeger officers continued to press home their attacks. Colonel Andrew’s area of responsibility – the airfield and Hill 107 – comprised some five square kilometres of very uneven and heavily overgrown terrain. He had two companies deployed. C Company on the airfield and D Company defending the eastern side of the Tavronitis river bed due west of Hill 107. Neither was equipped with radio. Andrew had two Matilda tanks ready for action but hesitated to play his trump card too early. Just before 11 am he contacted his commander, Brigadier Hargest, situated some 4 miles east along the coast to say he had lost contact with both his forward companies. He received no response. Within an hour the Germans brought their mortars and a light field gun into action against Andrew’s hard-pressed troops. He continued to press Hargest for aid in the form of reinforcements but was told all those available were engaged with the enemy. At 5pm the Colonel decided to utilise his two tanks with a small number of supporting infantry. This was a short-lived episode best not dwelt on, whereby one tank crew discovered very quickly that not only were they carrying the wrong ammunition for their gun but that their turret could not traverse properly. The second vehicle, left to go forward alone, found its belly stuck on a boulder on the river bed and was abandoned by its crew. At this point Colonel Andrew informed Hargest of the failure of his armoured counter-attack and his continuing inability to establish any contact with his forward companies. Furthermore he stated his intention, if not immediately reinforced, of withdrawing from his position on Hill 107. Hargest reply “If you must, you must” encapsulates in one short sentence the collective shortcomings of the allied commanders in this, as in so many other WW2 battles: confusion, uncertainty, a complete absence of initiative: utterly lacking in the basic qualities of military leadership which were being demonstrated so ably by the enemy they were facing. Sat in his command post on the lee side of Hill 107 it seems Andrew was either afraid to go and look through his binoculars in an attempt to ascertain what was happening with is two forward companies, or the thought did not occur to him. Hargest, similarly, sat shackled to his command post buffeted by developing events and apparently powerless to interfere in them. At this point both Andrew’s companies, whilst considerably reduced by casualties in the fierce fighting, were still resisting strongly: C on the airfield and D on the edge of the Tavronitis river bed. And so night fell. Overall the German attack had failed to capture every single one of their objectives across the four landing sites. They had taken terrible casualties and in each location fully expected an Allied counter attack which would bring the battle to a swift and conclusive end. At Maleme they had only 57 unwounded troops capable of fighting. The loss of battalion, platoon and company commanders had been particularly heavy. General Freyberg’s failure to launch a counter attack at this point is, from the allied perspective, probably the most troubling aspect of the battle. It’s possible that with Brigadier Hargest having his overwhelming leadership failure in the Maleme sector, Freiberg had simply been misled over developments there. But it would seem that he showed little interest in the Maleme sector as he continued to obsess over the possibility of an impending German seaborne attack at several miles further east at Cannea. Apologists for Freyberg maintain that in order to preserve the critical secrecy of Ultra, Freyberg simply erred on the side of caution and did not confide in his fellow officers lest the source of his intelligence were revealed. As he seemed to completely ignore the intelligence he was fed immediately prior to and during the early stages of the battle. This is an interpretation of the facts which is barely believable. 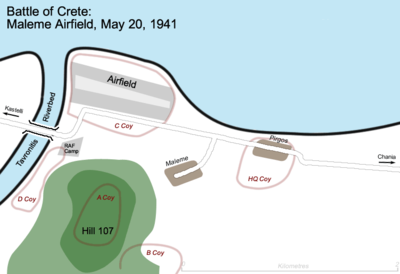 And now occurred the key developments which would see the British yield their position on Hill 107 thus their hold on Maleme airfield and with it their hold on the entire island of Crete. Sometime before midnight Colonel Andrew in his command bunker near the top of Hill 107, a position which commanded the Tavronitis river bed and the critical airfield, finally succumbed. Dismayed, no doubt, by the non-appearance of the requested reinforcements, perturbed by Brigadier Hargest’s unhelpfulness, still out of contact with C and D companies, although his lack of initiative in overcoming this last problem, remains a puzzle to this day, and feeling the pressure from Stentzler’s flanking attack to the rear of the hill, he decided to withdraw from his position. He NOW sent runners to both forward companies, but only to advise them of his imminent withdrawal rather than simply to secure a sit rep, and radioed his intention to Hargest. His commander, once again, felt that this information merited no reaction on his part other than to advise Freyberg in turn that the situation at Maleme airfield was “quite satisfactory”. It’s almost unbelievable. The runners failed to get through to either company. Both of whom, while battered, were still stoutly resisting the efforts of Meindl’s men to force their line. Captain Campbell of D company and his sergeant-major took it upon themselves to carry out a reverse recce on their own battalion headquarters, finding it abandoned and them with it. Somewhat shaken at this he then felt that HE had no choice but to withdraw his men in turn. Captain Johnson of C Company only discovered that his battalion commander had bugged out in the early hours of the morning. Doubting that a counter attack would be mounted in daylight and believing that his men would not be able to hold their position for another 24 hours he led them silently back to New Zealand lines. But General Kurt Student, sitting in his command post in the ballroom of the Hotel Grande Bretagne in Athens knew nothing of this. He knew only that none of the mission objectives had been met by nightfall on day one and that casualties were in the order of 40 percent. He knew also that his immediate superiors General Lohr of IV Air Fleet and Field Marshall von List of XII Army were aware of the situation. Not all was lost, however. With Hill 107 in German hands he had his toe-hold. He needed to know if the Tavronitis end of the Maleme runway was accessible for troop-carrying Junkers. With exactly that element of resourcefulness wich was absent on the Allied side, he despatched a Captain Kleye from his staff in the early hours of that 2nd morning. Kleye carried out the test landing successfully. Student immediately ordered General Ringel to prepare to fly in with his 5th Mountain Division. 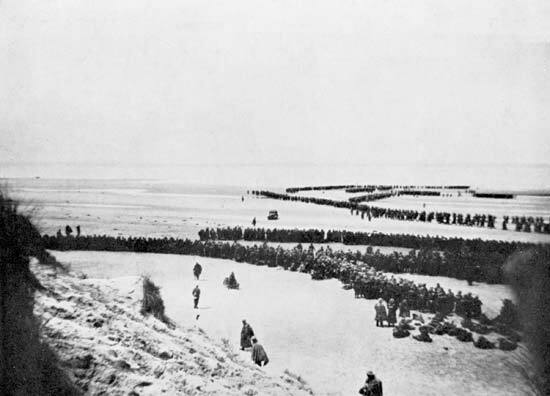 After preliminary bombing runs during the morning and early afternoon of the 2nd day Ringel’s Division began landing at Maleme. Each aircraft pausing briefly to disgorge its occupants before immediately taking off again. And they continued to maintain this at a rate of twenty planes per hour. Observing this from his Command Post several miles away at Cannea, Freyberg concluded that the Germans had decided to evacuate the surviving attackers. His self-delusion was complete. With substantial numbers of German troops now assembling in the Maleme sector there could now only be one outcome to the Battle. And despite managing to finally put together a counter attacking effort the garrison was doomed. There then followed yet another chaotic forced march to the beaches. This was now the established trademark of the British Army when fighting Germans on foreign shores. The last Royal Navy ship departed from the southern shore on 1st June, having rescued all but 5000 of the survivors of the garrison. For the most part the evacuation process had been carried out in a disciplined manner. 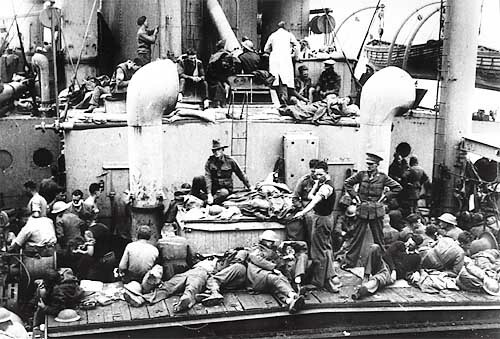 Although it was noted by some New Zealand troops as they climbed aboard their rescue ship, that some of the British Commandos who had landed later on the island to facilitate the evacuation, had managed to get themselves aboard before them. In short, Freyberg’s entire defensive operation had been a disasterous failure. Outnumbering the german attack force by a factor of four to one, with regular ULTRA feeds as to German intentions and with, for the most part, experienced and gutsy troops at his disposal, the island had been lost in some ten days. His reward for this dreadful performance was further command positions! 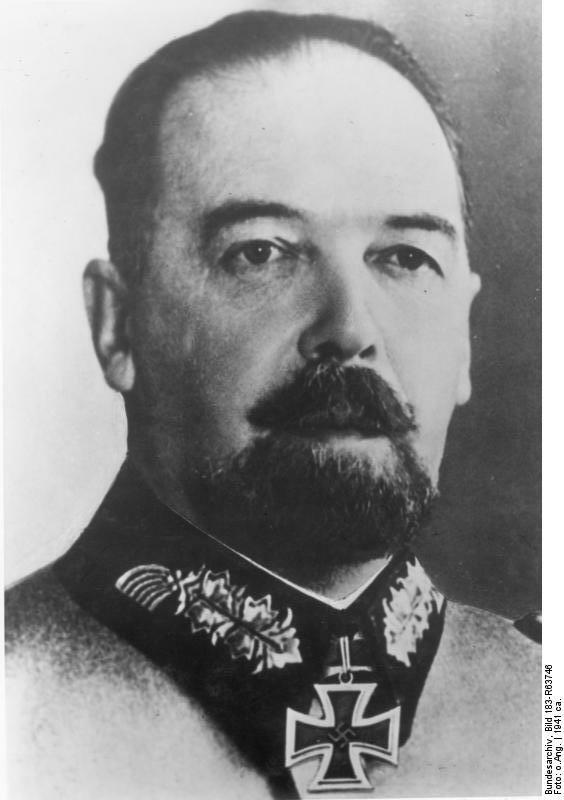 It was Freyberg in charge at Monte Cassino in 1944 who, having repeatedly failed to dislodge German troops (including some of the very same fallschirmjaeger who had fought at Crete) decided that bombing the 800 year old abbey to matchwood was the thing to do. The fact that the Germans were not in the abbey prior to its destruction but then flooded into the wreckage where they continued to hold the British at bay, comes as no surprise. 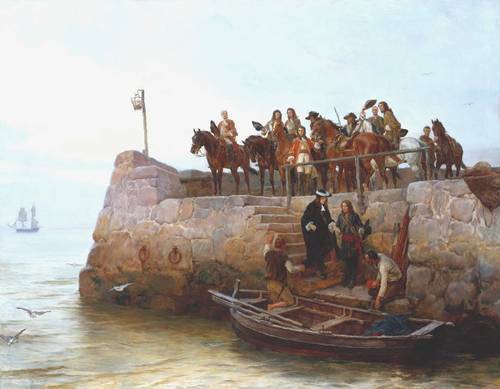 23rd December 1688……..James II Ships Out to France. And so the last monarch of the House of Stuart slipped away, without ceremony, on a ship to France and exile. There were few to witness his supine departure and Bonnie Dundee was not among them. 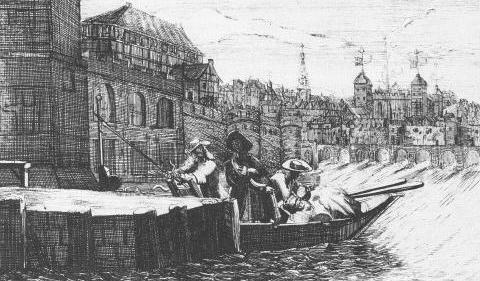 The newly ennobled Viscount had taken his final leave of the King some days previously prior to James embarking on the barge at Whitehall that would transfer him to his final departure point. James slips away from London on 18th December, heading for the coast. During this exchange Dundee had brought to bear his not inconsiderable powers of persuasion in an effort to persuade James to remain and lead the fight to overturn his unlawful usurpation from the throne by William of Orange. However, this king had never been a man to bend his shoulder to the wheel of personal effort. And faced with a choice between maintaining, after a fashion, his regal court in exile, or the uncertainty and rough life of a counter-usurper he jumped on his boat and fled. James heads for France and exile. The only historical mark surviving from his precipitate flight is a blue plaque on the wall of the house where he spent his last night in his kingdom and a personal note he left outlining his grievances at the way matters had developed: a prolonged whinge about what was said and done by those who had schemed to bring about his replacement which does nothing to enhance history’s view of his shortcomings as a man and a monarch. From the moment William had stepped ashore at Torbay in November with 21,000 troops behind him, support for James had gradually ebbed away. By the time that the single military action of the campaign was fought at Reading on 9th December , all was done and dusted. 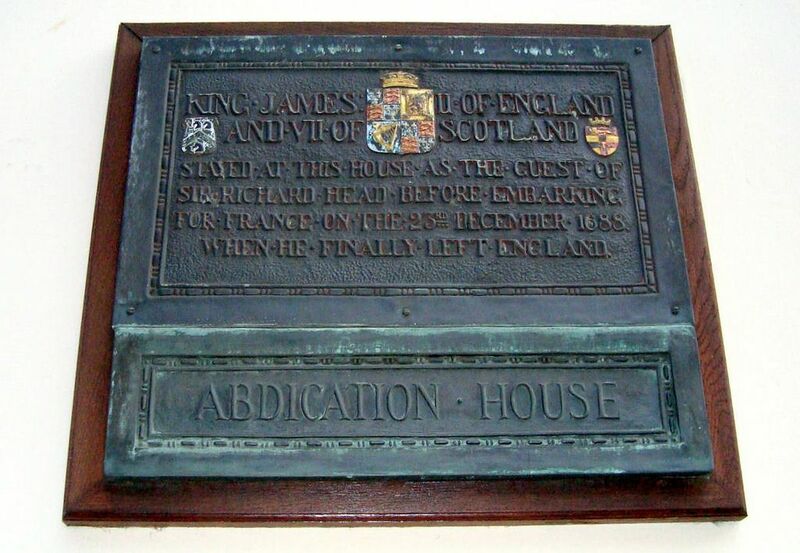 A combination of naked self-interest on the part of English and Scottish nobility and lack-lustre leadership from James had served the crown to William and his soon-to-be co-Ruler Anne, on the proverbial silver platter. A week before James’ final departure he had made an initial effort to flee to France. As in most of his kingly endeavours during his reign, he made a hash of it and had been compelled to return to London somewhat shamefacedly. It was at this point, 17th December, the day before he jumped onto his barge to head to Dover that he had a final conference with the last remaining men of substance that he had around him. Engaged in a conference in Whitehall with various motley individuals who sought to give him false assurances, he withdrew out to the Mall, summoning with him, Viscount Dundee and Colin Lindsay, 3rd Earl of Balcarres. The three men walked awhile and discussed the stark reality of the position. We have no firm record of this conversation. James, it appears, was determined to flee, fearing that his life was in danger. Both Dundee and Balcarres would have sought to persuade him that if he was going to depart his capital that he should head north to Scotland where firm cause could be made. Their efforts were unsuccessful. Promising to send from France royal commissions for both men to drive his affairs civil and military, he then took his final leave of them. At this very moment William was arriving in west London at the home of the Countess of Northumberland. The following day with James now gone, he took up quarters in St James’Palace. On its military side, the Revolution was now accomplished. In the aftermath of James II/ VII’s supine abandonment of the throne of the Three Kingdoms following William of Orange’s hostile invasion in December 1688, the English Parliament fell over themselves to hand the crown to William and his good lady wife, Mary, as joint sovereigns. The representatives of Scotland’s citizenry, conveniently present in London at the time, were summonsed to the royal presence that they might advise their Majesties on the most diplomatic manner in which to impose the same transition on the northern kingdom. Amid much tiptoeing around vested interests it was recommended that a Convention be summonsed to gather in Edinburgh in March to pontificate and ultimately adjudicate on the appropriate decision: William or James. On the 14th of March the Convention assembled in the ancient capital of Scotland. It was conducted in the same tiresome manner in which these issues are dealt with today; slowly, ponderously, to no good effect and all the time crying out for the decisive intervention of men and women of vision and courage. Some who had once been for James were now for William. Others couldn’t make up their minds and amid it all courageous men of conscience, Dundee and Balcarrres principally, recoognising the constraints under which they worked, toiled to do what was necessary to achieve the required outcome. 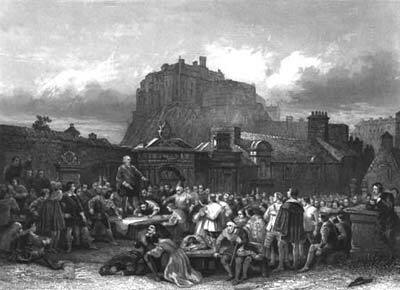 The one factor in favour of King James’ cause was that Edinburgh Castle was held for him by the Duke of Gordon. Gordon, however, was a creature of his time; feckless and fearful and reluctant to put himself in a position where his status or political life was threatened. 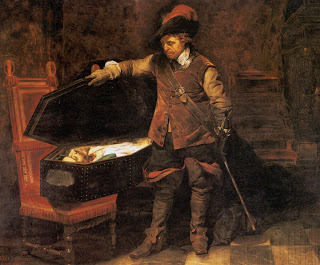 It required stealthy visits under cover of night by Dundee and Balcarres to prevent the erstwhile nobleman from handing over the Royal fortress to the Williamites during the critical phase. Ultimately, as the days and debates wore on, all could see whence the wind blew and one by one the nobility of Scotland, recognising where there best interests lay, gradually put aside their loyalty to their one true Monarch and, reluctantly or otherwise, backed the usurper. Claverhouse led the, now, rebel cabal which determined that the best course of action was to convene a rival convention in Stirling that might deliberate on the matter in a safe environment, more conducive to balanced decision making. Those principals, still loyal to King James, agreed to leave the capital early on the morning of Monday 18th March. At the appointed hour, Bonnie Dundee, at the head of his troop of horse which had been under his command through the previous ten years; at Drumclog, Bothwell Bridge and throughout his tenure as Sheriff of Dumfries and Wigtownshre, now assembled in the early morning sunshine. It would have come as no surprise to the King’s future Lieutenant-General that they stood and waited alone. 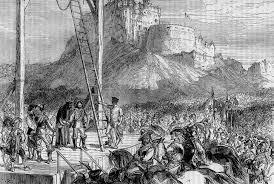 After a modest pause Dundee led them forth of the city, pausing only for that momentous moment when he climbed the rocks of Edinburgh Castle to the Postern Gate, where once more he sought to impose his moral and physical courage on Gordon to hold the castle for King James, come what may. And then they were gone. That lone troop of horse, heading north up that road which in four months time would end at the Battle of Killiecrankie. On Tuesday 30th January 1649, Charles Stuart, 11th monarch of the House of Stuart, 2nd incumbent of the unified throne was marched from St James’ Palace to Whitehall to be publicly beheaded. His forbears had sat on the throne of Scotland for 261 years and now it was to end. In the snow, in a foreign land, in front of a silent mob. 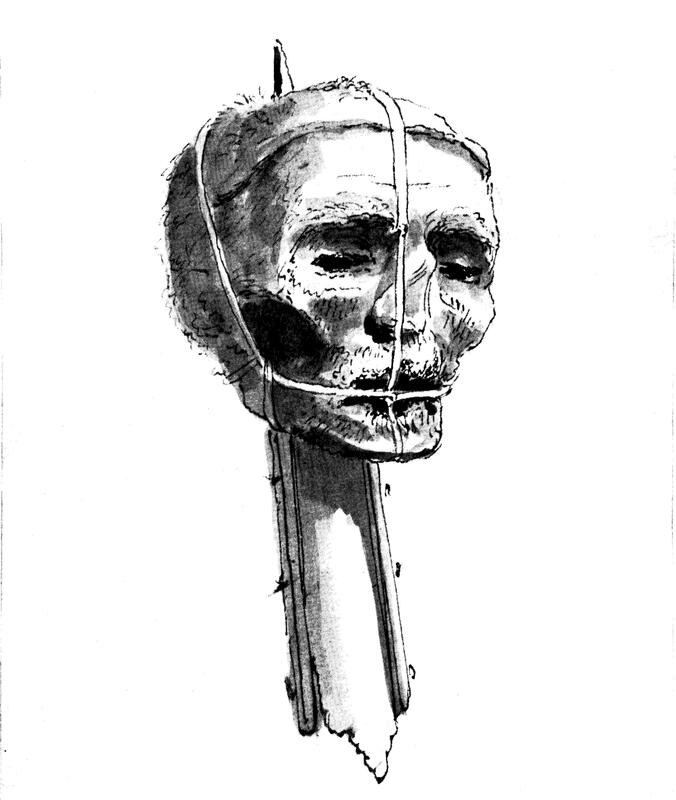 Twelve years later, on Wednesday 30th January 1661, the disinterred body of Oliver Cromwell, which had lain in its grave for over two years, was taken from the Red Lion Inn in Holborn along with that of Henry Ireton, another of the regicides, to Tyburn where it was publicly hanged in chains. No public pronouncement of death being deemed necessary as the corpse had been such for some time. After hanging there for some hours his body was taken down and the head struck unceremoniously from the rest of it whence it was placed high on a wooden stake for all to see. Cromwell: a man who had come close to being crowned himself and who was deemed then and since to represent the quintessentialness of British values to have his body treated in a manner so contemptuous that even now, three and a half centuries later we have no idea, and less concern, as to the location of said head. As Cromwell’s corpse swung in the winter breeze, there was to be no dwelling on the manner in which events had unfolded. When he had died, the first time, he was at the height of his powers as Lord Protector of the Commonwealth of the Three Kingdoms. His position backed up by his New Model Army, an extremely effective military force of his own creation. Nonetheless, it was remarkable the extent to which the fortunes of his interests had deteriorated so much in such a short space of time. For Charles Stuart, however, there was plenty of time for him to consider the vicissitudes of his life. By January 1649 he had been held prisoner for nearly three years. First by the Scots Covenanting Army in Newcastle, upon whose mercy he had thrown himself when he had exhausted all other options following the defeat of his army in the Civil War. And then when the Scots handed him over to the vengeful Parliamentarians he was held under house arrest in a number of different locations whilst said Parliamentarians made up their mind as to what to do with him. During this time his prospects were not entirely grim with the Scots rising in arms once more, this time to seek his freedom. But these hopes were to be dashed as Cromwell and his New Model destroyed this army at the Battle of Preston. And as negotiations wound tediously on over the months it was only near the end when Parliament sought to indict him for treason that he would have had some idea that matters might end with his death. Charles I at his trial. Parliament had sacked his barber and he would let no-one near him with a razor. Like the citizenry of England, the Scots were not averse to brutally assassinating their anointed monarch when the need arose. As when James I was done to death in the basement of Blackfriars Monastery in 1437. Or when James III died at the hands of a mysterious assassin in the immediate aftermath of the Battle of Sauchieburn in 1488. Edward II of England’s grizzly end by means of a hot poker testifies to the enthusiasm with which such matters were conducted south of the border, albeit this happened after his abdication. However, we have the cases of Henry VI and the Princes in the Tower as eloquent evidence of due process in that part of the world. However, in the long and colourful history of the Kingdom of Scotland there had never been efforts made to prosecute then execute a monarch. In England, however, not only was there a proud tradition of executing reigning monarchs, such as Lady Jane Grey in 1554. They had also taken it upon themselves to execute other peoples’ monarchs. The utterly reprehensible fashion in which Her Grace, Mary Queen of Scots was held prisoner for some nineteen years before a shameless show trial found her guilty of treason against a monarch of whom she was not a subject and condemned her to death, stands in clear testimony to the barbaric manner in which such matters have been conducted there over the centuries. Mary, Queen of Scots at her execution in 1587. In January 1649, the first effort of the Rump Commons to raise the treason indictment against King Charles was immediately thrown out as unlawful by the three Chief Justices of the Common Law Courts of England. And so, in the high-handed manner in which this august body conducts its business, the Rump Commons unconstitutionally declared itself capable of legislating alone. It then created a bill for the King’s trial and passed it as an act without royal assent. By this stage even the incorrigible optimism of Charles Stuart would have begun to give way to a more realistic assessment of the way the wind was blowing. Charles had a firm and unaltered view of his God-anointed position. It was largely this firmness of purpose expressed as a wholesale refusal to compromise with any and all which had brought him into conflict with his Parliaments and his citizenry and which, arguably, had brought about the ruinous collapse in the fortunes of himself and those of the noble House of whom he was but the latest progeny. So we can be reasonably sure that he did not entertain himself in his final hours with thoughts of what might have been done, by himself or by others, in the years gone by, to avoid this disastrous outcome. Perhaps he might have handled his dealings regarding religious worship less high-handedly. The manner in which the he imposed his chosen form of worship on the people of Scotland led directly to the Signing of the National Covenant and thus to years of needless bloodshed which would continue long after his death. The National Covenant is signed in 1638. The bloodshed of the Covenant Wars would soon follow. Perhaps, he might have recognized the fundamental split that had occurred with his English Parliament and returned to the land of his fathers to re-establish the separate Kingdom of Scotland. Perhaps, in 1603, his father before him, James VI/I, might have given more thoughtful consideration to the offer of the joint crown in the first place. And instead of haring across the border at the first opportunity never once to return on the twenty-two years of his remaining life, he might have considered the possible downside of the arrangement. He might have pondered how a political arrangement with a single monarch presiding over two nations with separate sovereign Parliaments and with clear and historically proven diverse interests could ever possibly work. No such thoughts occurred to either man. Nor indeed to those who came after. Charles’ son, Charles II, restored to the throne when the whole Cromwellian nonsense crumbled to dust after the man’s death, had too many other distractions to entertain him than taking action to provide long-term political stability. 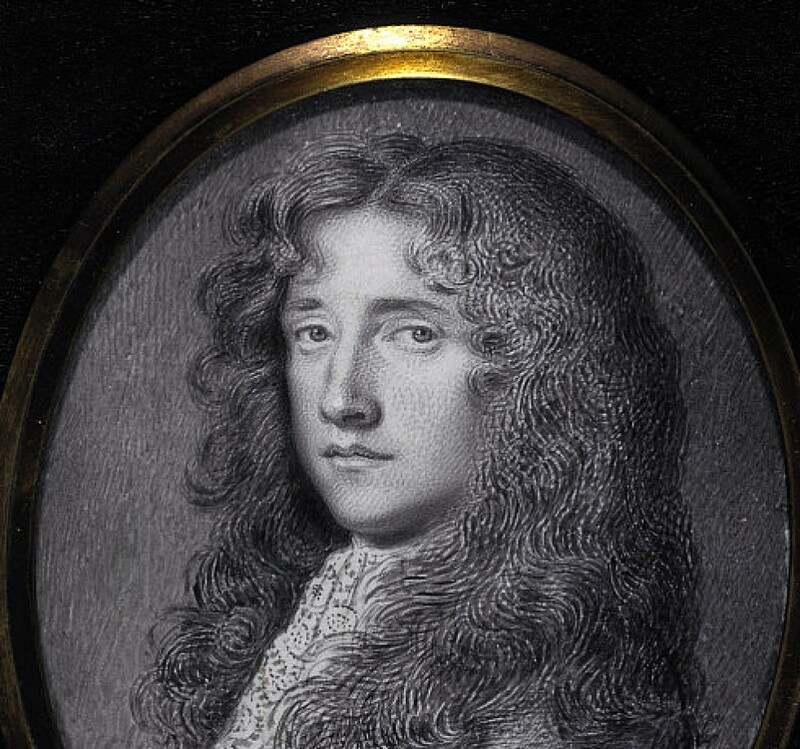 And his brother, James II, had little enough time during his reckless reign to consider what could be done before jumping into the boat and heading for France, despite the entreaties of those who had the interests of him, his Ancient House and the people of Scotland at heart. It was James’ reckless abandonment of his responsibilities that directly gave rise to another 57 years of bloodshed and sacrifice in the Jacobite Risings. So perhaps there was a clear inevitability about the manner of his death. The mistakes, however, were not all his. This was a minor event of primarily symbolic importance. It was sandwiched between other happenings of considerably greater import. These being the cold-blooded murder of Archbishop Sharp on Magus Moor on 3 May by a handful of Covenanter lairds and the comprehensive defeat of assembled Covenanters at the Battle of Bothwell Bridge on 22 June. 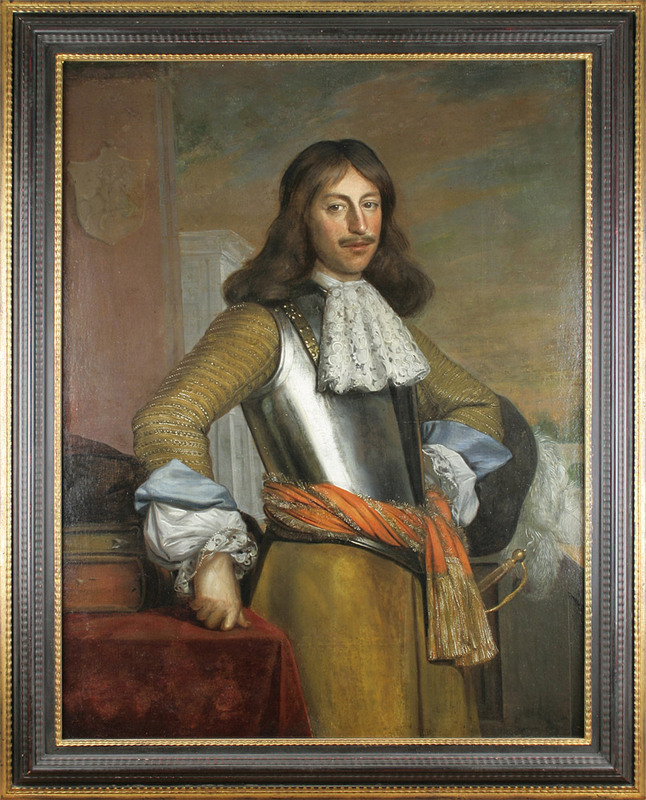 By the spring of 1679 the enthusiasm of those committed to the Covenant increased by a degree as more and younger people were drawn to the cause and as the voice of the more extreme veterans of the movement, men such as Donald Cargill, an inveterate enemy of compromise, moved to the fore. Claverhouse had been sent “to the west” some months before, in command of a newly raised troop of government horse in order to assist in the process of keeping the peace. He had then been promoted to Sheriff-depute for Dumfries and Annandale in reflection of the poor fist that was being made of the peace-keeping process by the local, heritable sheriffs who were, by and large, entirely sympathetic with the lawless if not fully involved in the law-breaking process themselves. The elements for escalation were now in place but the spark that set the kindling ablaze didn’t happen down on the south-west as might have been expected but many miles to the east in Fife. The murder of Archbishop Sharp, was, now as then, utterly indefensible. 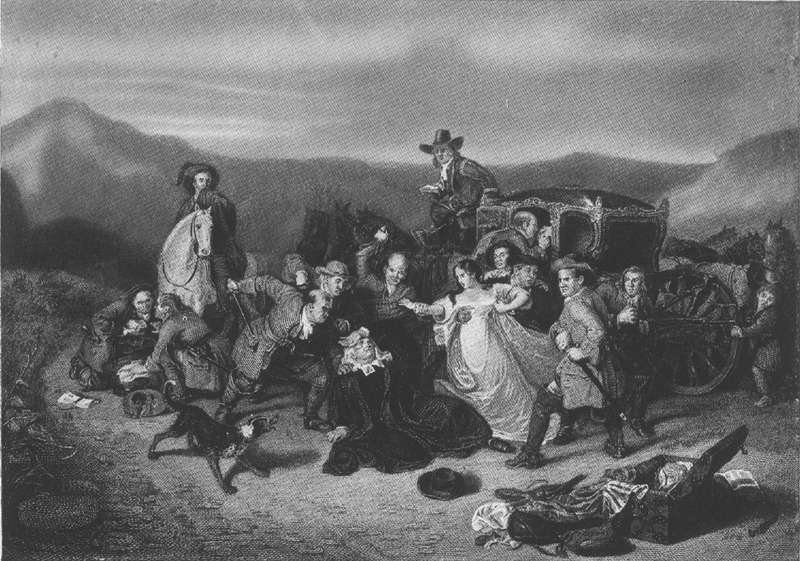 A prelate, a holder of one of the major offices of the state, ambushed in broad daylight by a gang of thugs who then hacked him to death while one of them held his daughter back to prevent her interference in the deed and that she might better bear witness to the hideous death inflicted on her father. Even by the standards of the time it was shocking. Although there were many prepared to defend it and even now, two hundred and thirty odd years later there are those who would view it as not unreasonable. Having carried out the deed, the culprits immediately mounted their horses and fled south-west in the hope that they might conceal themselves in the heartland of their support. In the immediate aftermath there were a number among the extremists who saw this event as a sign, as a justification for the escalation of further extreme action. Amongst their number was the 29-year-old Robert Hamilton who saw the need to carry out some further public demonstration of their cause in order to rally the faithful and to further wave an angry fist in the direction of the Privy Council. 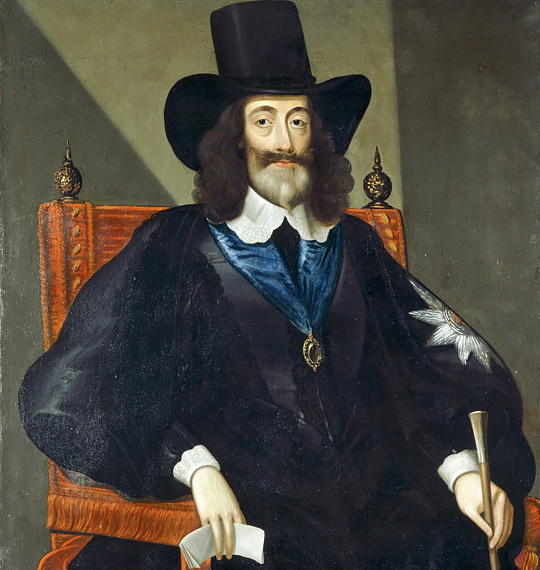 They waited a short time until 29 May, the birthday of the King, Charles II, when public celebrations, bonfires and suchlike, were happening in the monarch’s honour. Hamilton and his 80 odd mounted support initially planned on carrying out their demonstration in Glasgow but on hearing of the presence there of Government troops, took the more cautious option of Rutherglen. There they dramatically extinguished such bonfires that had been lit in the King’s honour then created their own and on to these tossed copies of the various pieces of recent Government legislation and Royal Proclamations that they deemed to be offensive to honest Covenanting folk. Then they fixed their Declaration to the Market Cross, a reiteration of there endless, baseless complaints, the content of which does not seem to have survived the passage of time. And having made their point, they once again, in time-honoured fashion, fled the scene. So once more, as with the Pentland Rising, thirteen years previously, extreme and brutal action carried out by hot heads was then fanned by the even more extremist covenant clergy into some indication of divinely inspired justification for full-scale rebellion and before you knew it there were a mob of heavily armed men and women fully assembled and ready to take whatever action was determined to be in the best interests of their cause. And once more, in a holy mob where each individual was essentially a party of one, collective agreement as to unity of purpose was impossible. News reached Claverhouse in Falkirk that same evening concerning the events in Rutherglen and he immediately moved his troops to take the necessary action. Two days later at Drumclog, while searching for an illegal conventicle he ran headlong into some 200 heavily armed covenanters and his force was defeated and driven from the field. With that the full weight of the forces of law and order were brought to bear and on 22 June at the Battle of Bothwell Bridge order was finally restored. The Battle of Bothwell Bridge, 22 June 1679. The end of the rebellion. 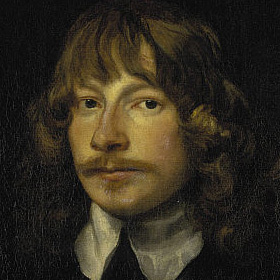 James Graham, the Great Montrose, born in Montrose in 1612 was tried for treason by the Scottish Covenanting government and hanged in 1650 in Edinburgh. What WERE the man’s qualities exactly? He was an outstanding military commander with a firm grasp of both strategic and tactical spheres of operation. He was a charismatic leader of men. In his case, touchy and fickle highlander warriors who are not easily led. He was a man of uncompromising principle whose adherence to those very principles in an age when the perceptions of society as to what principles mattered moved so wildly, that the impression was created in the eyes of the unwise that it was he who changed his stance. 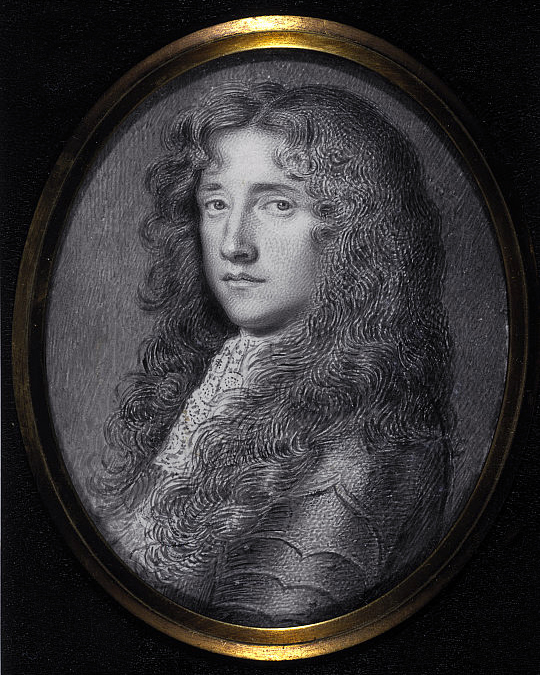 He was a man of such vision and personal courage that when he failed to convince Prince Rupert, after the disaster of Marston Moor in the summer of 1644 to give him some of his soldiery to allow him to win Scotland for their King, Charles I, that he then entered Scotland with but two companions and subsequently pulled together an entire army by his own force of personality and led it to six consecutive victories between the summers of 1644 and 1645. 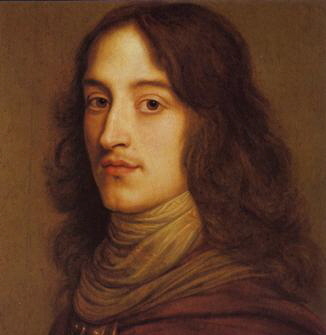 Prince Rupert of the Rhine, nephew of Charles I, defeated at the Battle of Marston Moor, June 1644. But if all this were true then he would stand as a historic icon, known to us all from childhood. Would that this were the case. However, with the ultimate triumph of the Protestant Ascendancy, the Glorious Revolution and the final disaster of the Union of Parliaments, our history has been written from the other side of this struggle. So Montrose is little known to us today and when his name is raised he is vilified as the military incompetent vanquished at Philiphaugh and a man of such uncertain principle that he would be the first to sign the National Covenant in 1638 then raise an army to oppose it in 1644. As a military commander he stands with the other greats of this particular age, Conde and Cromwell. He is described by no less an authority than the honourable J.W. Fortescue in his 20 volume history of the British Army as “perhaps the most brilliant natural military genius disclosed by the civil war”. A significant assessment of a man who’s only previous military experience had been the haphazard engagements of the Bishops’ War in 1639 when Scots took up weapons for the first time since the Battle of Langside in 1568, and thus he did not have the benefit of learning his craft in continental wars, in the fashion of the Earl of Leven or Alexander Leslie. His six victories at Tippermuir, Aberdeen, Inverlochy, Alford, Auldearn and Kilsyth demonstrate clearly this outstanding ability. Ably assisted by Alasdair McColla and his Irish army, without which the whole 1644-45 campaign would not have been possible, he persuaded the clans of the central highland to fight together for the first time since the Battle of Harlaw in 1411 AND to fight with Alasdair’s men. Much is made of the quality of the troops that opposed him at these fights but they were of exactly the same stock which he had led to victory during the aforementioned Bishops’ War. His tactical dispositions particularly at Auldearn and Kilsyth merit close study. 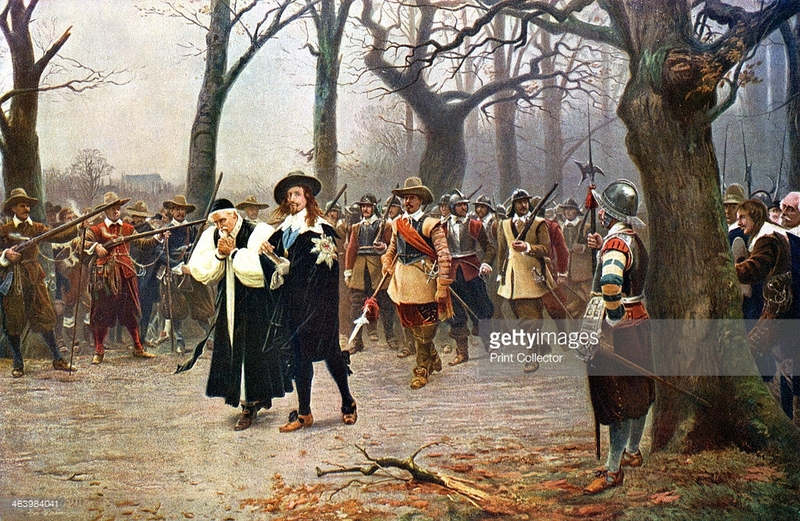 Whilst Cromwell led a New Model Army fused together by his moral and religious authority, James Graham had no such aid and had to hold the whole army together by his personal authority alone. And it was his achievements with a highland army which paved the way for another Graham, John of Claverhouse, to tread the same road some forty years later in his attempt to restore another Stuart monarch to the unified throne. It was his success in persuading said highland army to fight south of the highland line which brought about his key victory at Kilsyth, the last of his six victories. And so to Philiphaugh where it all fell apart, his army was defeated on the field and then vindictively annihilated in the aftermath with Montrose forced to flee abroad. 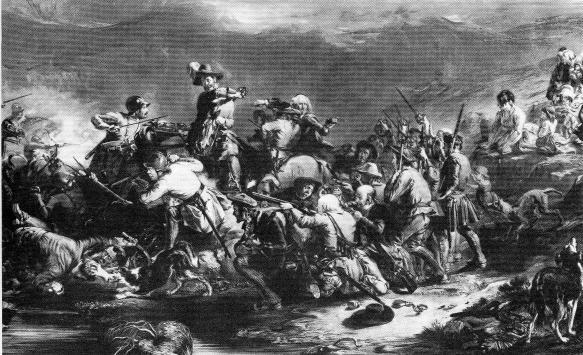 The subsequent campaign in 1650 saw only one battle fought, his defeat at Carbisdale. And when he threw himself upon the mercy of Neil MacLeod of Assynt only to be betrayed to the Government’s forces by the aforementioned’s spouse. 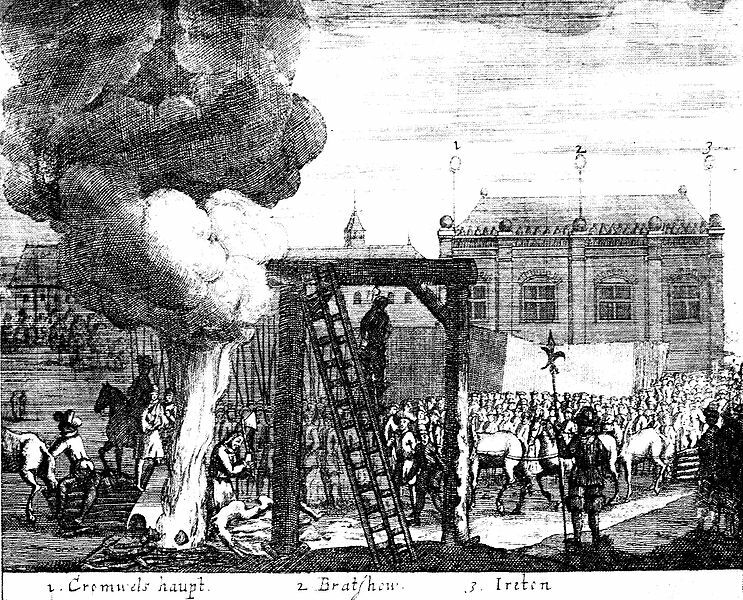 His execution in May, some 16 months after that of his King, Charles I was a turning point in our history. The ultimate triumph of Cromwell over all military forces allayed against him throughout the three kingdoms and the establishment of his Commonwealth was followed inevitably by the Stuart Restoration as the internal contradictions of Cromwell’s interregnum tore itself apart after his death. The general merriment of Charles II’s reign then led to the criminal mishandling of the job by his brother James II with William’s subsequent invasion and elevation to the throne in the Glorious Revolution, closely followed by the Union of the Parliaments. And so we live with the consequences.